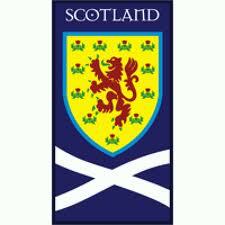 New season and a new hope for Scotland and it’s EPL based players. After their 5-1 humbling against the USA post-season the last thing the Scotland players needed was another confidence sapping, friendly defeat. Fortunately, Craig Levien’s men rallied to the cause and beat an Australian team placed far higher in the FIFA rankings. Despite going behind to a fine Bresciano strike and losing Alan McGregor to a freak injury early on Scotland battled back to record an impressive 3 – 1 home win and set themselves up nicely for the coming World Cup qualifiers. Jordan Rhodes and Ross McCormack grabbed fine goals either side of a Davidson own goal to secure a rare friendly home win at Easter Road, Edinburgh. The performance of Jordan Rhodes was particularly pleasing considering it was only his first start in the dark blue. He expertly headed a Danny Fox cross past the Ozzie keeper to open his international tally and hastled the defence throughout his game. With Kenny Miller in the twilight of his career and playing in the MLS, Rhodes may be used as Scotland’s main striker, although Jamie Mackie and Craig Mackail Smith may have something to say about that. Ross McCormack did well to weave into the Australian box then dispatch his goal and there were impressive displays for Danny Fox, Charlie Adam and Alan Hutton. That being said there were some worrying defensive lapses by Scotland against the off-colour Socceroo’s and these mistakes will be more ruthlessly punished in the qualifiers. In regards to players it looks a little healthier than years before although most of the Scots play for teams that shall probably be fighting against relegation in 2012/13. With the transfer window still wide open many some players may move into the EPL while others could drop down to the championship etc. Disappointingly, there are no Scots in the top 6 first teams apart from Darren Fletcher who is currently side-lined with a chronic, long-term illness. It is looking likely that Charlie Adam will move away from Anfield and similarly it remains to be seen If Danny Wilson can remain at Liverpool. 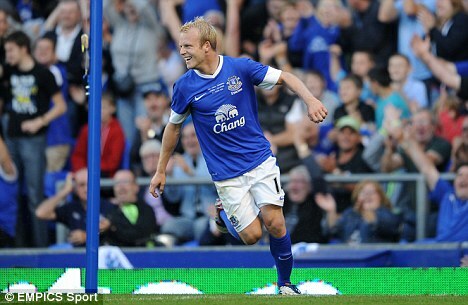 Steven Naismith chose to release himself from the new-co Rangers and secured a contract with Everton while Steven Whittaker did the same with Norwich. As Internationals and with Champions League experience behind them both should cope with the higher level in the EPL. Robert Snodgrass (Leeds to Norwich) and Frazer Fyvie (Aberdeen to Wigan) have transferred up a level while Danny Fox and Alex Pearce benefit from promotion. Christophe Berra and Steven Fletcher are looking to move on from demoted Wolves and should find an EPL club in the coming weeks however Craig Gordon and James McFadden are free agents and it remains to be seen if they can find a club at EPL level. Jordan Rhodes has been attracting interest from various EPL clubs after his recent high scoring but he may choose to stay at Huddersfield for another year. 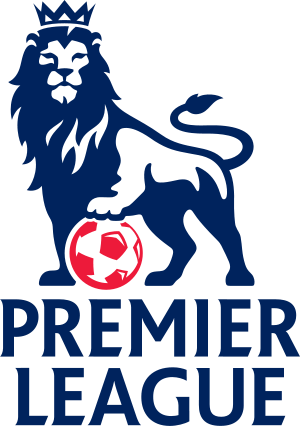 Many may argue whether the EPL is better than La Liga or Bundesliga but it is streets ahead of the SPL and the Championship from where most of the Scottish national team has previously been chosen. Although we have no superstars akin to Greame Souness, Kenny Dalglish or Gordon Strachan anymore (or even any John Collins, Ally McCoists, Craig Burleys or Paul Lamberts) any greater EPL influence should benefit the national team. 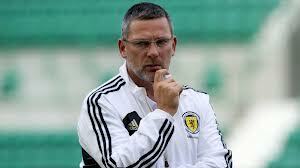 Like many Scottish fans I still have my doubts about coach/manager Craig Levein. His handling of the recent Ian Black/Lee Wallace controversy has not been handled well and his relationship with tabloid media is beginning to sour. The Levein/Houston partnership has not borne much success so far and with such a hard qualifying group (Group A: Croatia, Serbia, Belgium, SCOTLAND, Macedonia, Wales) I fear that this pair are not up to the task. I hope I am proved wrong and pleasantly surprised.